After about five weeks in service, Air New Zealand will deploy its Boeing 787-9 Dreamliner to Perth this Friday, September 12, a month ahead of its official launch. The arrival of the all-black Dreamliner in Perth will be quickly followed by Thai Airways 787-8 flights from Bangkok about a week later. 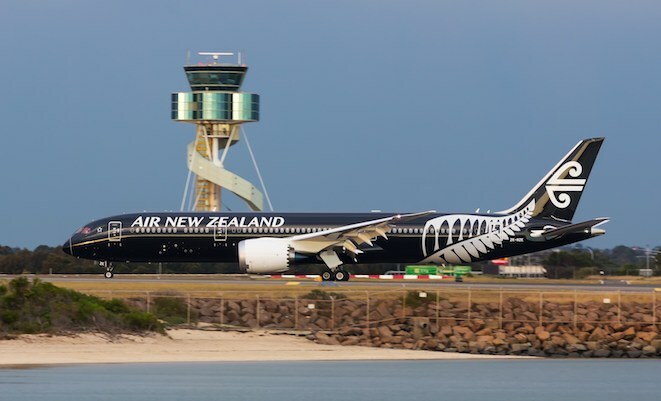 The 787-9 made its commercial debut in Air NZ colours on August 9, when ZK-NZE took off from Auckland airport as flight NZ103 bound for Sydney. The aircraft has been flying between Auckland and Sydney on an almost daily (and sometimes double-daily) basis since then. The first Dreamliner flight to Perth will be on September 12, with NZ175 due to depart Auckland at 1420 local time, with a scheduled 1810 arrival at the West Australian capital. The return flight, NZ176, leaves Perth at 2115 and arrives back in Auckland at 0745 the next day. While Air NZ had flagged October 15 as the official start of Auckland-Perth Dreamliner service, the airline’s director for aircraft programs Kerry Reeves told the September edition of Australian Aviation it was likely to bring the 787-9 into service before the official launch date. “The reliability has been exceptional since the commencement of commercial services and the aircraft is performing exactly as we expected,” Reeves said. Air NZ has 302 seats – 18 business, 21 premium economy and 263 economy – in its Dreamliner, which will also operate to Tokyo and Shanghai by the end of 2014. Thai Airways, meanwhile, was scheduled to be the second Dreamliner operator to Perth when it starts flights from Bangkok using the smaller 787-8 from September 20, replacing Airbus A330-300 aircraft. TG483 was scheduled to depart Bangkok Suvarnabhumi Airport at 2359 and arrive in Perth at 0745 the next day, with the reciprocal TG484 timed to leave at 0915 and arrive in Bangkok at 1515 on September 21. 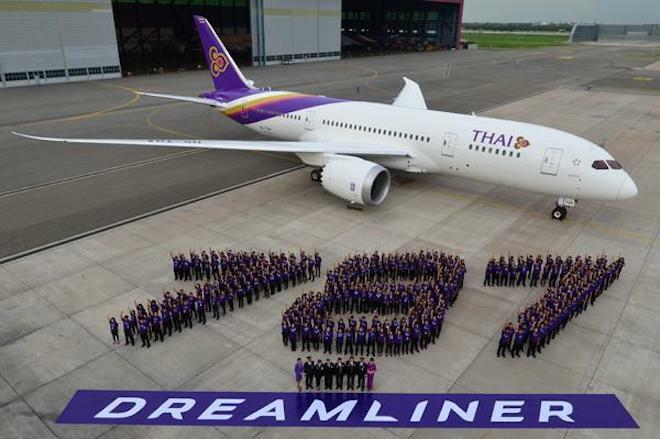 Thai Airways, which took delivery of its first 787-8 on July 17, has eight Dreamliners on order – six 787-8s and two 787-9s. The 787-8s have 264 seats, with 24 in business and 240 in economy. Having booked a flight to Queenstown next year partly on ANZ’s 787-9, and seen the recent Al Jazeera investigation at the South Carolina plant, I am keen to know, at which plant, Washington or South Carolina, have/will Air New Zealand’s aircraft been/be manufactured?